Thanks to a unique partnership, leading local governments will have an opportunity to come together to share knowledge and best practices on September 14, 2018 in San Francisco. 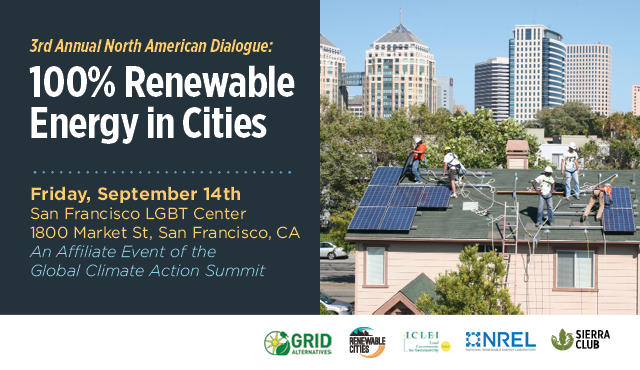 Renewable Cities—along with GRID Alternatives, ICLEI USA, the National Renewable Energy Laboratory, and the Sierra Club—will be hosting the 3rd Annual North American Dialogue on 100% Renewable Energy in Cities. Representing the third in a series of annual dialogues, the event will convene both existing and newcomer 100% RE-committed local governments to discuss implementation. 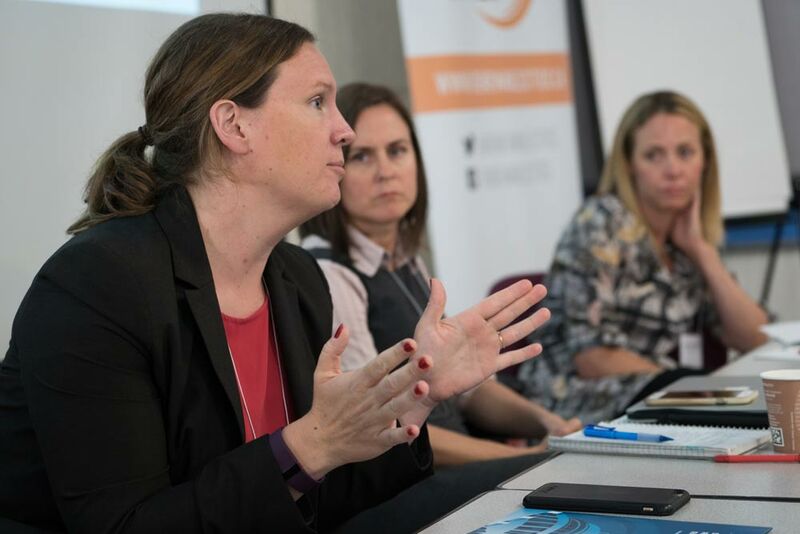 The by invitation workshop is an affiliate event of the Global Climate Action Summit, a gathering of international leaders from different sectors working to decarbonize the global economy. Read about the dialogue here.